In the days prior to the revolutionary invention of social media and other on line Internet services Bollywood has been known for assisting victims hit by natural calamities by coming out on the streets for collecting relief material. Readers who are past 40 years must have seen Bollywood celebrities tucked upon trucks urging citizens to help whatever they can effort but today with social media things have become easy. 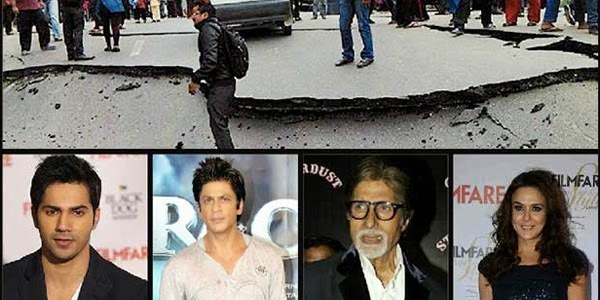 From Amitabh Bachchan to Shah Rukh Khan and from the young breed like Karan Johar to Alia Bhatt the entire film industry has come out to extend their help either through prayers or through online fundraising. Some leading film and television celebrities are seen on TV spots appealing to mobilize relief for Nepal and parts of neighboring India affected by the earthquake. It may be noted that these TV spots are commissioned as part of Indian Government public service campaign under their Operation Maitri relief effort. Joining these advertisement campaigns are some NGOs who are coming forward to help the victims. One among them is CARE India who in association 21st Century Fox's Star India network has conceived an innovative campaign “Ek Padosi hi Padosi ke Kaam Aata Hai” (A Neighbor Can Help Another Neighbor) featuring Bollywood heartthrob stars like Ranbir Kapoor, Anushka Sharma and Preity Zinta, Karan Johar and television figures appealing the public for donations online or via bank transfers.